Birds, Gardening and Pirates! ? This week we had a special guest. Patti van Vlack came to share her knowledge of birds. Patti: How are birds different from us? Patti: Yes, every feather is different. Owl wings don't make noise like other birds. Natan: They are also nocturnal. It was very exciting to have a naturalist come in to class and share how they help our community. Eden and Kate came to help our community. The moms helped us start our garden. Eden: Natan, what does the chocolate mint smell like? Natan may have enjoyed how the chocolate mint smelled, Judah and Olivia were not fans of the taste. We will be checking our garden to see how our strawberries, tomatoes, cucumbers, and melons grow. The children have thoroughly enjoyed our study of community helpers. 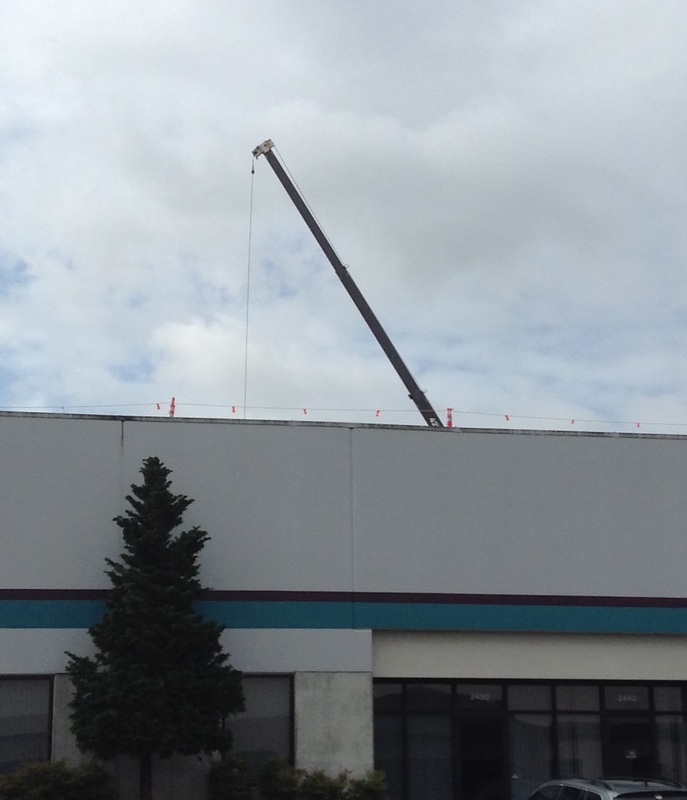 a crane was being used across the street to help repair the neighboring building. 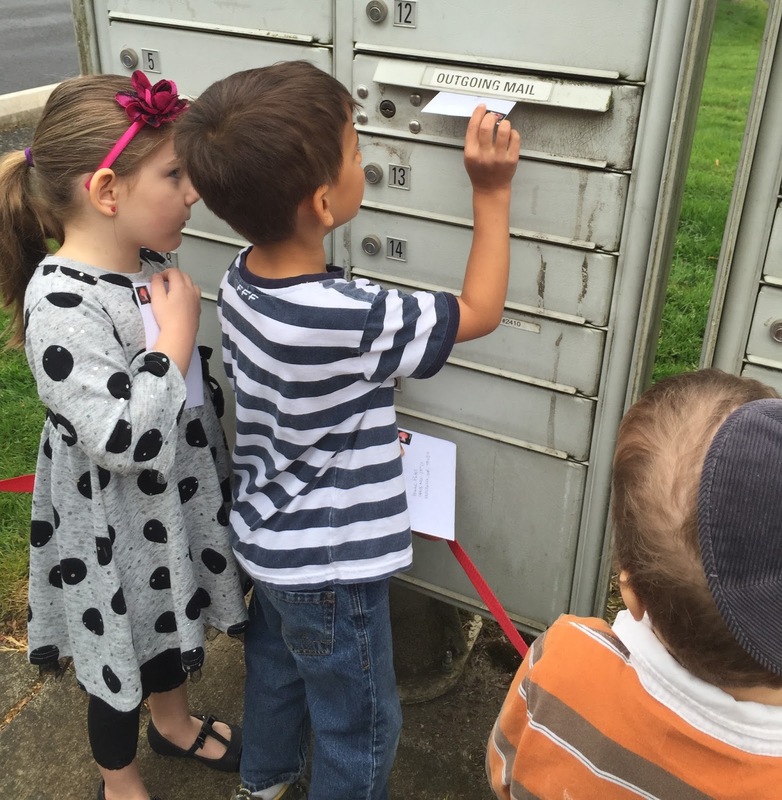 Next week we will learn how engineers and rabbi's help our communities. 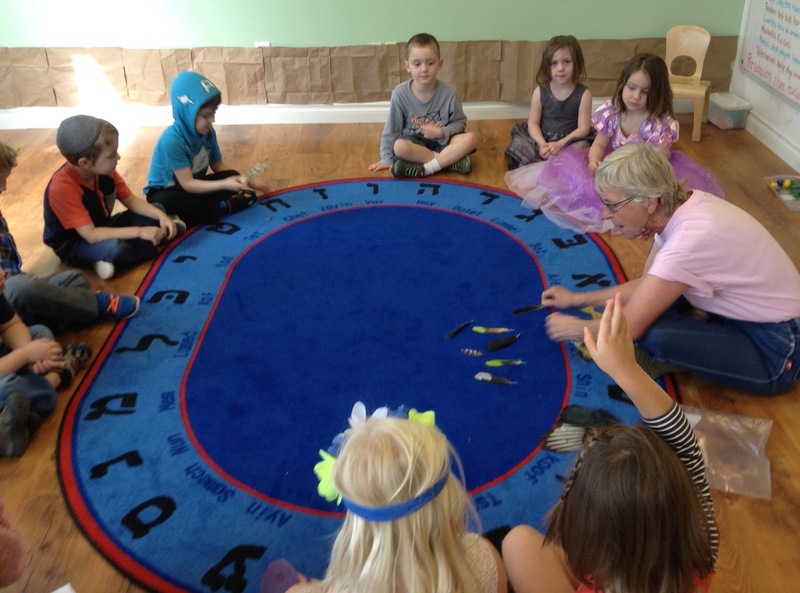 At the Gan, we strive to fill the classroom with engaging and thoughtful activities. As the children explore, we observe. How can we help them expand their skills and continue to grow? 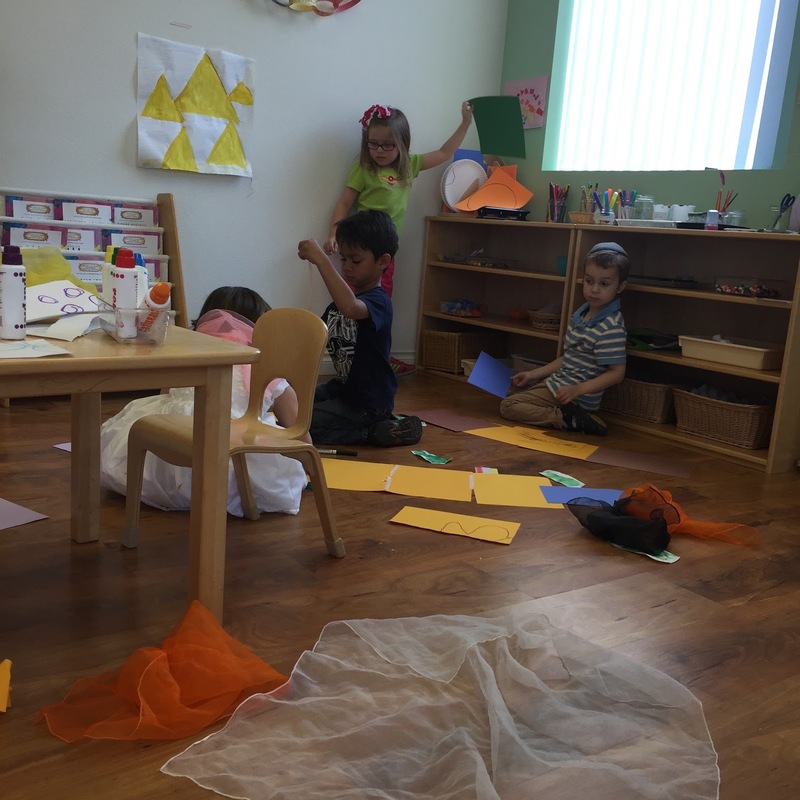 We noticed Thursday afternoon a transition occurring in the classroom. Pirates were searching for treasures, walking the plank, and leading parades. We observed: collaboration, imagination, sharing. We noticed after some moments of wild merriment, a calm occurred. And during that calm we saw: collaboration, imagination, sharing. We created a post office in our classroom. Friends chose a name and wrote that friend a note. Sroli: I have Natan's name! Natan: I wrote the S for Sroli the right way! When the note was complete, it was put in the mailbox. 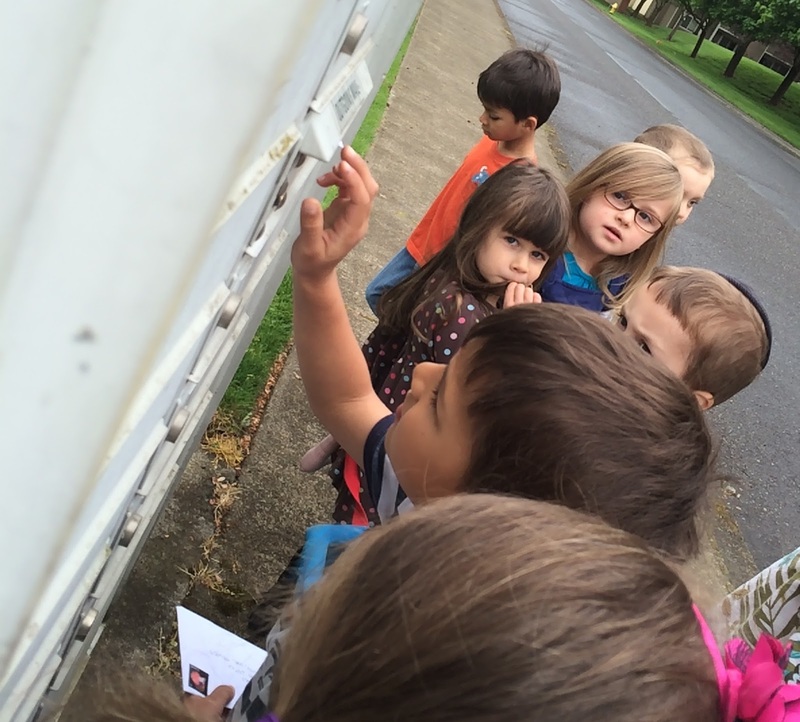 The leader of the day became the mail carrier of the day and delivered the notes at dismissal. 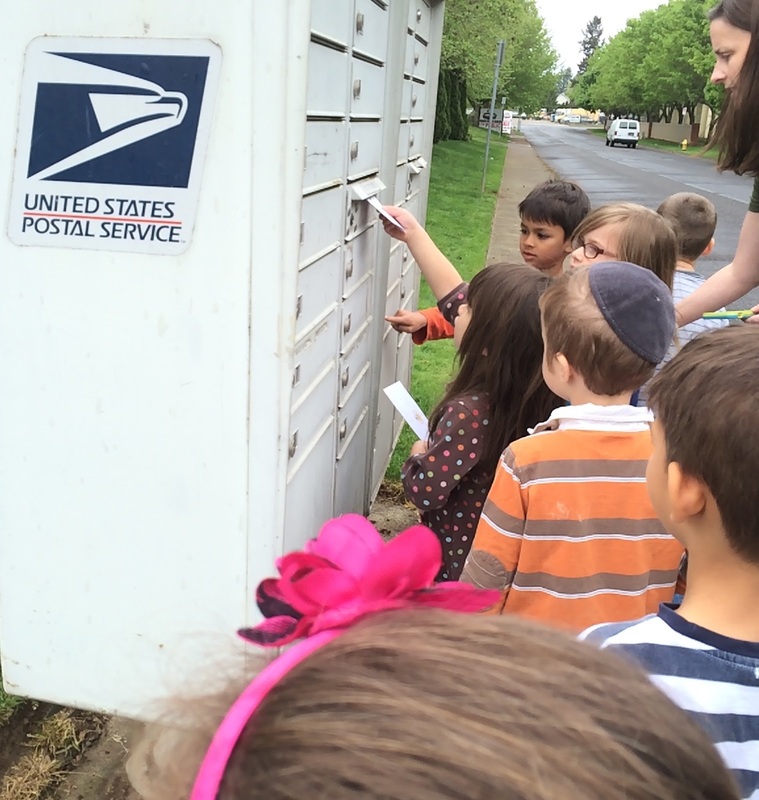 We wrote letters for friends to send through the real postal service. wrote the addressee a note. The children dictated what they wanted to say. there were many moments of joy and pride. In moments like these, progress made throughout the year is notable. After the letter was written, the envelopes were sealed and stamped. 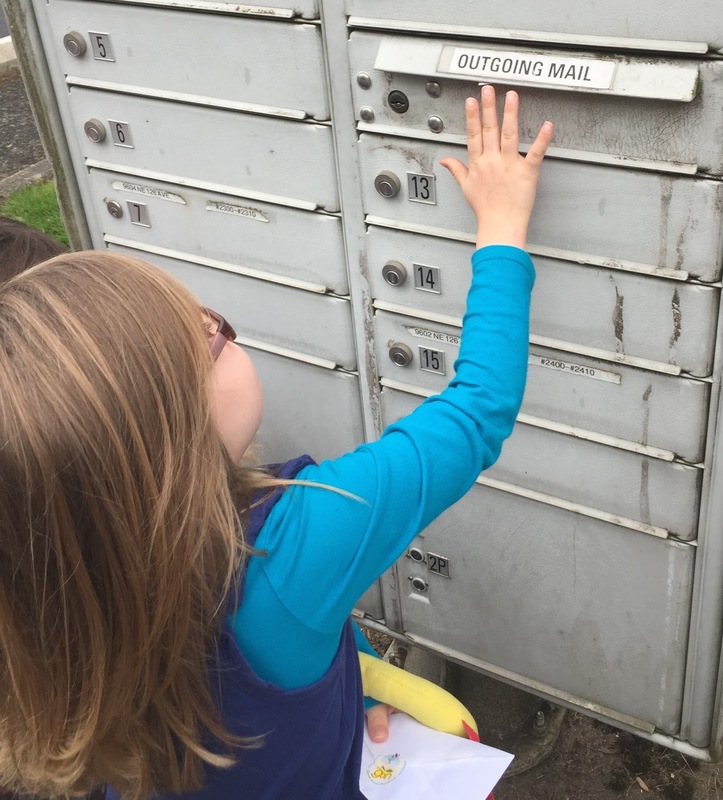 We took a walk to our mailbox and dropped them in. Keep an eye out for a very special letter! Police officers are important community helpers. We added crosswalks to our playground to help keep our friends safe. We created walkie talkies from juice boxes, and used them to "patrol" our classroom. Isaac and Sroli created their own walkie talkies. We were fortunate to have a police officer visit us. Office Pfeifer: Do you know what number you call if you have an emergency? Eliana: You can tell them where you live. Officer Pfeifer: Yes, it is important to know your address. Eliana: What are those things on your leg? Officer Pfeifer: One of these things is a kit I can use to help someone who is hurt. Officer Pfeifer shared his badge with us. We compared it to the sticker badges he shared with us. Amelia: It's a little heavy. Natan: It's not heavy for me. Amelia: I am a police girl. Evan: I am a police boy. We made police cars from paper plates. We continued to care for patients. We took x-rays of the patients and discovered they had beads in their bellies! We were fortunate to have a second community helper visit our class. Elana: I am Isaac and Anton's mom and I am a nurse. Nurses do a lot of different things. Where do you see nurses? Elana: Yes, schools have nurses. Elana: Yes, teachers are at school. You can find nurses in hospitals and on airplanes too. I am a nurse who visits people at their home. I brought some tools with me. I use these things to see if people are healthy. Anton: You use it to look at peoples eyes. Elana: With this tool I can check your reflexes. See my leg just moved! Elana helped us hear heart beats. We made stethoscopes using funnels, plastic tubes, plastic wrap and duct tape.